My “Grill Quotient” (GQ) is the measure of popular wisdom shared by my buddies at our breakfast place (which, by the way, has been spot-on this year). Recently, the GQ came up with an interesting insight about taxes and Roth IRAs. When I first heard it, I thought, “That’s not news.” But then I went back through the articles I have saved about Roth IRAs and found that, in fact, no one is talking about this particular aspect. Every article I have read on Roth IRAs is about when to convert (a year when you have low to no taxable income) or the tax consequences of converting. But nowhere have I seen a discussion about how growth and income are treated in the tax-free version of retirement accounts. First up, Roth IRAs allow you to take tax-free distributions. Conventional IRA distributions are fully taxable. But the money in a Roth is after tax, meaning you pay the taxes before you contribute to it. And, as far as I can see, the only focus is on the tax cost of converting (you’ll pay income tax on any untaxed money you move over) – not what happens while your money is in a Roth. Growth, income, interest and capital gains are all tax-free (assuming, of course, that you wait to withdraw until five years after your first contribution and age 59 1/2). Not deferred… free! If all you do is consider the tax consequences (like how converting may move you to a higher tax bracket) and the cost of moving your money from a traditional to a Roth IRA, you’re shortchanging yourself. If you add the additional savings of never paying taxes on any growth, dividends or interest you earn going forward, it tips the scale well in favor of the move and of shifting earlier than you might have otherwise planned. Now, you can argue that the same is true for a conventional IRA. The growth and income in that account grow tax-free too, right? Not entirely. It grows tax-deferred. Eventually you will also pay taxes on that money. If you’re considering shifting to a Roth, it’s still a great idea to wait until you are in one of the lower tax brackets. Usually one of the first few years of retirement is a good time. 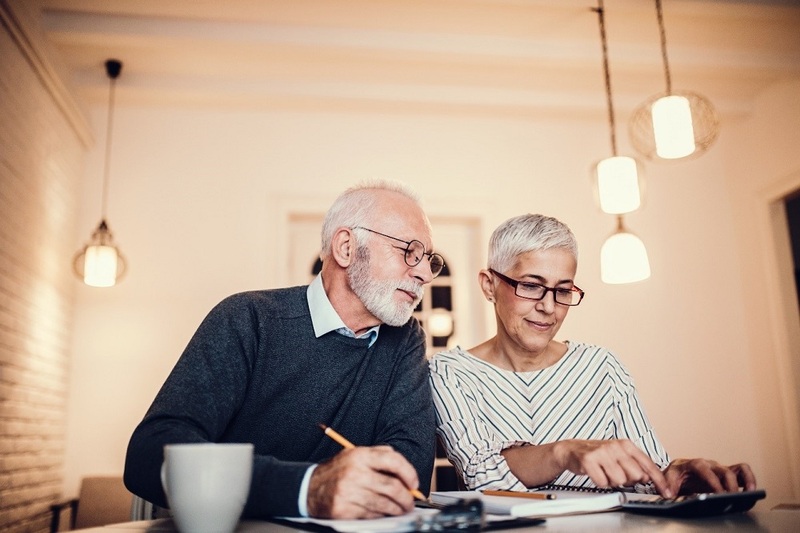 But if you have been following my advice and have been shifting the balance of your portfolio to less risky holdings as you age (like dividend-paying stocks and bonds), you should also consider the tax savings you would realize on this part of your portfolio. Plus, when you include the fact that there is no required minimum distribution – the minimum amount you must withdraw from your account each year at the age of 70 1/2 – along with the additional savings on tax-free growth, dividends and interest, the whole equation shifts to tax-free, not deferred. So sit down with your tax advisor and total up everything you’ll save with a Roth – now and in retirement. I think you’ll be surprised by how affordable it is to do it earlier than you thought. After all, you should never pay a tax if you can avoid it… legally, of course.